So yeah, was just playing around, doin stuff, and got disconnected. 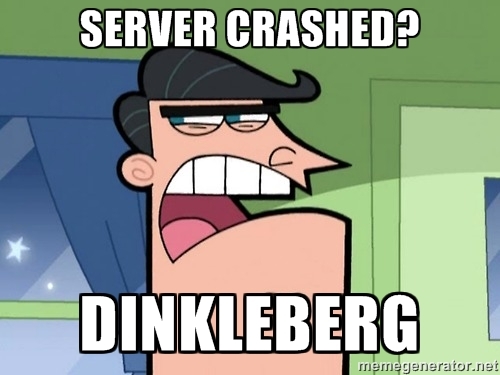 Server probably crashed. Completely unrelated to what I was doing. So yeah wanna restart it?